It's here folks! Competition time has arrived fourth year running! What can you make with Umbrella Print's Trimmings? Over the next couple of weeks we are going to bring to you the stories and works of these four creative women who come from such amazing diverse backgrounds, a real feast for the mind and eyes. 8. 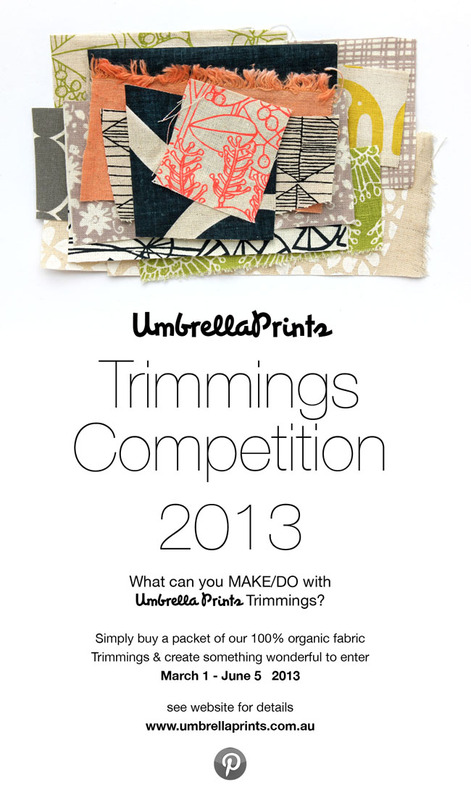 The person with the most repins from our Umbrella Prints Trimmings Competition board will be the Peoples Choice WINNER! 9. The person who gets the most Special Guest Judge votes will be the Special Guest Judge WINNER! We love to see your ideas but if you do use someone else's pattern please credit them. You are welcome to enter the competition as many times as you like, but you must use one Trimmings pack per entry. You can read this 'taking a good photo tutorial' here to make sure you photographs are clear and inviting to look at. I've bought a pack and I'm excited! I've bought my pack, can't wait for it to arrive, I've got a few ideas already. So excited to see what you make! I missed the deadline, but on http://blog.verflixxtzugenaeht.de/ein-bisschen-zu-spat you can see, what I have done with mit umbrellaprint trimmings :-) Many greetings from germany to australia. Lovely cards i really like all cards i should refill my Ink Toner Cartridges only to print these cards and i wish to send these cards to my family these are really awesome cards thanks for sharing such a nice cards. Umbrella Prints is an Australian textile house specialising in organic printed fabrics and a boutique range of thoughtful and useful product. 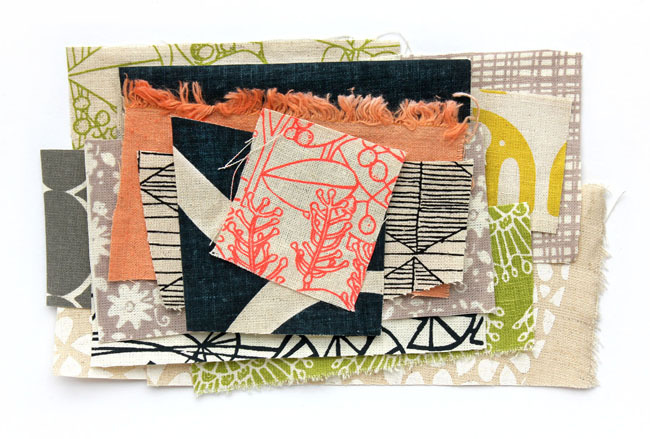 We love hearing from you and learning about your creative work with our fabrics so do say hello! What is the Trimmings Competition?